Imagine a life where you are unable to make phone calls and cannot watch your favorite TV programs. Imagine a life where you get off-track during traveling and could not use GPS to help you get back on your desired route. Just imagine. Sounds scary and boring, right? This is what our lives would be if there were no satellites. 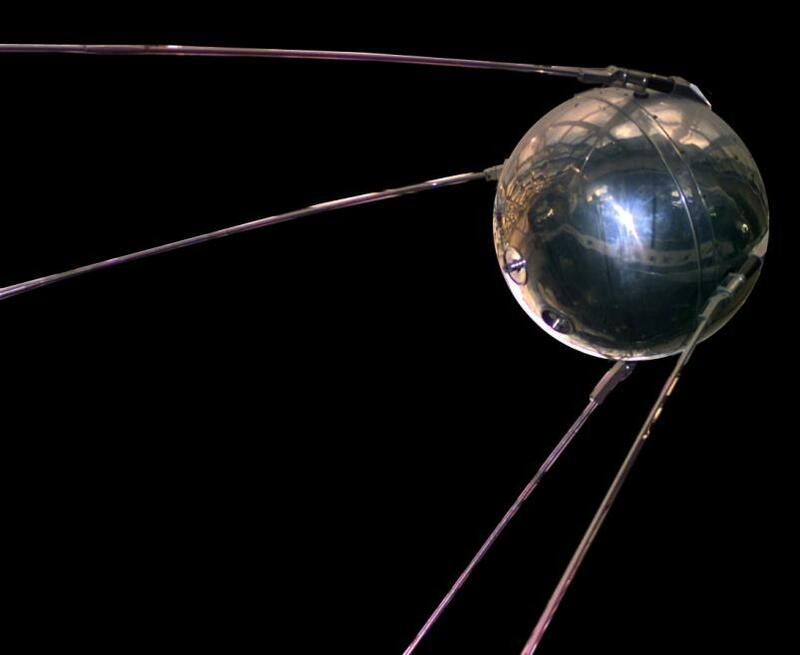 In 1957, the Soviet Union launched the world’s first man-made satellite in space called Sputnik 1. A satellite is an object that moves around a larger object like a planet or a star in space. The planets in the solar system have objects that circle around them which are called ‘natural’ satellites. For example, the earth has the moon as a natural satellite. Artificial satellites are machines made by humans and launched into space where they orbit Earth. The idea of satellites was first proposed by the renowned mathematician and physicist, Sir Isaac Newton. He claimed in his book “A Treatise of the System of the World” that if a cannonball is fired with an enormous force, then it could gain enough velocity to overcome the gravitational force of the earth and would come to the starting point after circling the earth. And so, the Soviets decided to put Newton’s theory into practice. In 1957, the Soviet Union launched the world’s first man-made satellite in space called Sputnik 1. This feat marked the beginning of a space race. Soon after, in 1958, America’s Explorer 1 was launched. Let us now look into the basic components and working of a satellite. The main parts of a satellite include its framework, solar panels, transponders, radio antennas, receivers and transmitters along with the propulsion subsystem, communication subsystem and the altitude control subsystem. The frame of the satellite is made out of materials that can withstand the harsh temperature changes and incredible gravitational forces in outer space. Kevlar and aluminum mixed with alloys like aluminum-beryllium are suitable materials for the body of the satellite as they are durable, extremely lightweight, and resistant to temperature changes. Most satellites are launched in space by first riding on a rocket called the ‘launch vehicle’. Now, where do satellites get their power from? Satellites have a pair of long wings projecting from either side which contain arrays of solar cells and are called ‘solar panels’. These solar panels convert the sun’s light into electrical energy for satellite operation. At times, when the satellite is away from the sun during its orbit, batteries provide power to the system. These batteries are usually made of nickel and cadmium-based elements. Most satellites are launched in space by first riding on a rocket called the ‘launch vehicle’. The rocket flies straight up and then shifts to a horizontal position when it reaches the denser part of the atmosphere. It then fires the satellite into space. Once the satellite is positioned in a fixed trajectory, it can be used for whatever role it has been built for. Satellites communicate by radio waves transmitted through antennas and send these signals to Earth. The antennas on the earth station capture those signals and process the information. The frequency with which the signal is sent into the space is called the ‘uplink’ frequency, while the frequency with which it is sent to the earth station is called the ‘downlink’ frequency. A transponder is an electrical circuit that amplifies the signal when it reaches the earth station. This is how satellites provide a global telecommunication system and make us able to watch live broadcasts, TV programs, and even make voice and video calls. Satellites have proved to be quite useful in different domains like navigation, communication, weather observation and space exploration. A satellite navigation system is a group of satellites that provides information about the location of a particular point. The satellites are constantly transmitting signals to the receiver which could be our mobile phone or any other device. The signals contain information about the precise time the signal was sent and the current location of the satellite. The GPS devices receive the signals from different satellites simultaneously and determine the accurate location by calculating the time a signal takes to reach the receiver and the distance of the corresponding satellite from the other satellites. At least three GPS satellites are required to calculate the positioning of a particular point. GPS, like satellites, has become a virtually indispensable technology today. Satellites can also be used to predict weather conditions. Weather satellites contain sensors called radiometers and they measure the radiation coming from the earth’s surface which could be infrared or visible. They take pictures from those regions and send them to earth stations to build predictive models. These satellites have helped us considerably to forecast weather conditions like hurricanes and storms, which are potentially catastrophic. Satellites have also helped scientists learn valuable information about distant stars, galaxies, and planets in outer space. These satellites enable scientists to observe far greater details than can be seen from telescopes in the observatories on Earth. 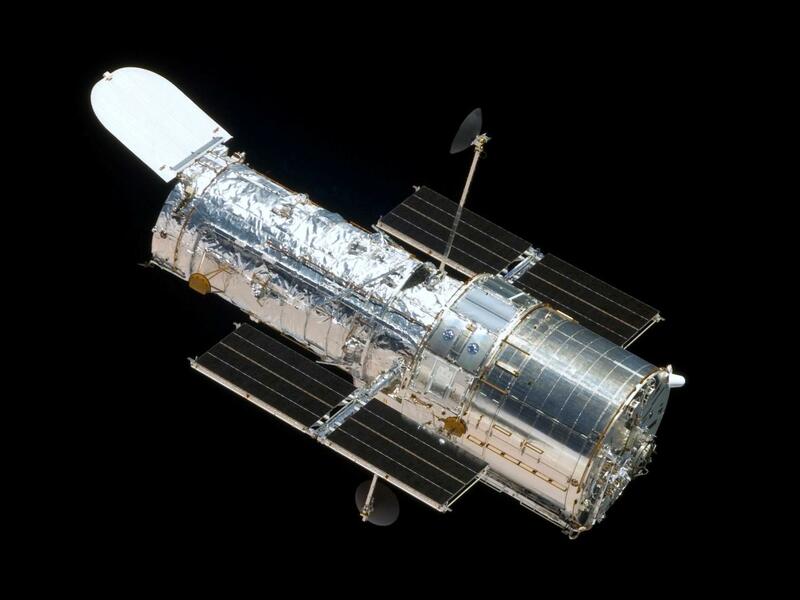 Hubble Space Telescope is an example of an artificial satellite that has allowed great progress in space exploration. It takes pictures of cosmic objects in the visible, infrared, and ultraviolet light and sends them to the scientists on Earth. Over the past years, it has gathered extremely productive data that has helped scientists write more than 15,000 research papers. The Hubble Space Telescope revealed crucial galactic details like the four moons of the planet Pluto, seasons on other planets, formation of stars, and also the age of the universe. Currently, there are thousands of satellites orbiting the globe to meet a variety of our needs. This technology has become an integral part of our lives but rarely do we ever give a thought to the enormous benefits of satellites. Without them, both our mundane and not-so-mundane activities like watching TV, making phone calls, and successful exploration of space would have been impossible.